Turn fugetive Slaves not back Deuteranome 23.15.17. Servants, Bond servants & of the Sojurners in the 21 Capter Exodios, Usage of Servants, Bondman & Slaves & redemption of them. Leviticus 25.3g.u.s.f. & Deuteronome 15. 20-18. Deuteronomy 20 Chapter on treatment of all. 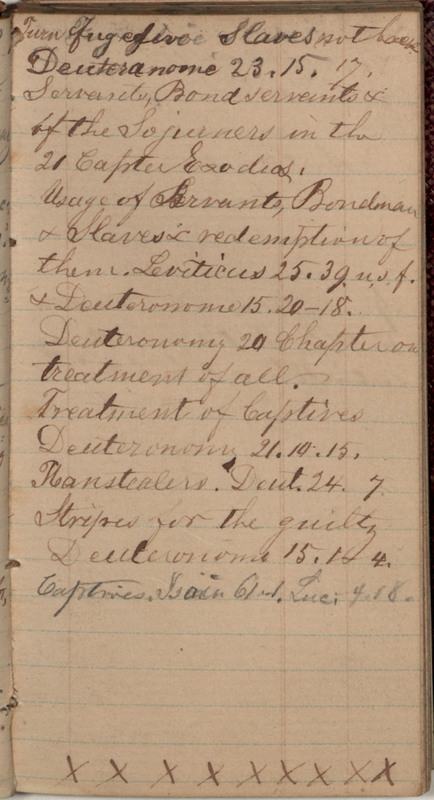 Treatment of Captives Deuteronomy 21.14.15. Manstealers. Deut. 24. 7. Stripes for the guilty Deuteranome 15.1- 4. Captives. Isaia 61 rd. Luci; 4. 18.